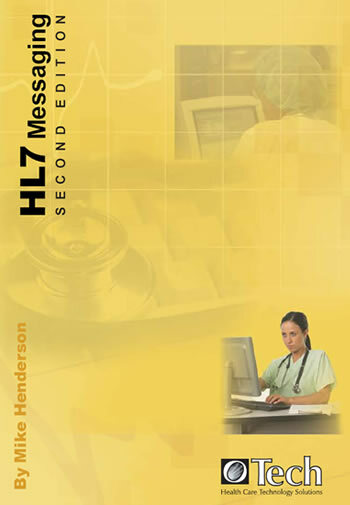 This is the electronic edition of our HL7 Messaging, Version 2 Book. The second edition of this book improves on the previous edition in that it is up to date with the most current version (2.5), it is written around a true patient encounter, and also has an additional V2.5 and XML encoding example for lab results. The HL7 (Health Level 7) communication standard is developed for the Health Care domain and facilitates the exchange of messages between Health Care Information Systems such as radiology, laboratory, patient scheduling, billing, etc. This book provides a comprehensive guide to the HL7 version 2.x standard. The reader does not need to have any experience with the HL7 standard. This book will be of particular value to anyone working in the imaging domain as frequent references are made to the IHE (Integrating the Health Care Enterprise) standard, which defines profiles especially for the imaging domain. The book will provide the reader with a detailed explanation of the version 2.x messaging. It makes extensive use of examples. It is especially useful for those who are planning to implement, support, and/or need a good understanding of the standard. The intended audience is engineers, system administrators, interface engineers, IT personnel, and anyone who wants to get a thorough overview of this messaging protocol. The author is Mike Henderson, who is a true HL7 veteran. He has a long time involvement with the standardization effort, as member and/or chair of HL7 working groups, and has a broad experience in the healthcare industry actually implementing this standard. In addition, he has teached on this subject for several years in locations as far as Brazil and India, and obviously, in many locations across the U.S. Herman Oosterwijk, co-chair of the HL7 working group for Imaging and Integration has contributed to this book as well.